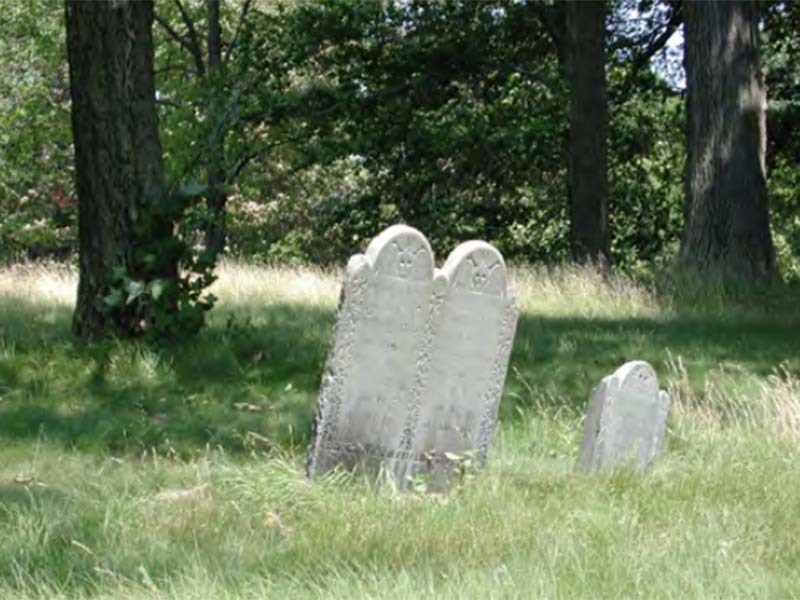 When the town of Roxbury was first settled in 1630, the First Church of Christ was established and the Eustis Street Burying Ground was used for burials. As Roxbury grew, it became difficult for church members in the outlying areas of town to get to church, so in 1711 these people received permission to establish a Second Church of Christ in their area. This church stood on Peter's Hill, and behind it to the south, the church burying ground was created. By 1733 the use of the church was discontinued and a new Second Church was built in West Roxbury. Although the burying ground still remains, the church and parsonage have long been demolished. Now called the Walter Street Burying Ground, this site is located on what is today known as Peter's Hill, within the Arnold Arboretum. This 0.81-acre burying ground contains the graves of early settlers and a single large tomb for Revolutionary soldiers. These soldiers were stationed at the nearby Loring-Greenough House, which was later converted into a hospital when many of the men became ill from smallpox. The soldiers were buried in the house's garden. In 1867 their remains were moved to Walter Street Burying Ground for a proper burial. During the widening of Walter Street in 1902, the remains of 28 bodies were discovered and subsequently transferred to Mount Hope Cemetery.